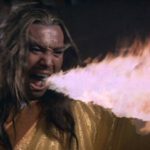 Watch almost any martial arts movie from yesteryear and you’ll witness a tsunami of bad acting and fantastical abilities. From catching bullets to breathing fire and everything in between. The plot almost always follows one man’s struggle against the odds to avenge his <<insert favorite family member’s>> death. Frequently the hero will be surrounded by multiple opponents, and emerge triumphant after being attacked by a series of single techniques that resemble the kihon section of a karate class. Thank goodness some of the more recent movies have resembled something slightly more realistic from an attack standpoint, albeit not the real deal. What attacker is going to wait for you to defend and counter? Is Karate Kihon for the Birds? So if nobody attacks with a single technique, and pause with their punch fully extended and their other fist at the hip, what’s the purpose of practicing karate this way? We don’t see it in boxing, and we don’t see it in MMA. Only in a traditional karate class do we see this seemingly odd behavior. Wouldn’t it make more sense just to practice the exact techniques and counter methods that one might encounter in a real situation? Of course I’m playing coy when asking these questions. I clearly see the value of repetitive singular basics and traditional stance work as I’m sure you do too. However, I want to provide you with a couple of analogies you can use next time you’re mocked by an armchair fighter who says traditional karate is for the birds. You gotta crawl before you can walk…. This is a good start, but it doesn’t quite possess the level of detail required to penetrate our non-karate-ka’s fortified mind. We need a more subtle approach to have our opponent lower their intellectual drawbridge and let us in before they’ll consider our reasoning. When I get asked why we practice this way, I nearly always use this simple explanation. Basics are like letters of the alphabet, A to Z. When you become a karate student, we teach you how to recognize and write the letters just like in kinder or first grade. You learn to punch, block, kick…. A, B, C.
Once you know your letters we then teach you how to spell a few words. These are combination techniques, or sequences from kata. The next level of writing would be to construct sentences. At first we show you a sentence. You copy it down and learn it as you were taught. This is where you work with a partner doing ippon kumite, kata bunkai and various karate drills and exercises. You string together specific attacking and defending techniques. Beyond that is when you create. You write the sentences. You become the author. Of course this is when you adapt and apply your basics. Perhaps not in the exact way as you originally learned, but in a way that is still effective and tweaked to fit your fighting style and skill level. They’re no longer “basic techniques” yet without them you could never attain technique authorship. To refer again to the alphabet analogy, as adults we don’t write to that dotted half line height in lower case print any longer. And our grammar isn’t always proper. We write how we please, with relaxed grammar and slang instead of regimented sentence structure. But without the fundamentals our story would be weak.…just like our fighting skills would be without understanding the basic techniques first. The bottom line is we teach and practice the basics in order to do the advanced. If you are only ever taught to write the sentences verbatim without knowing how to create the sentences yourself, there will be a ceiling to your learning. Next time a student or intellectual sparring partner asks you why you teach and practice basics feel free to use this analogy. Thanks for your interest. Hope you enjoy the content. I’ll check out your web site. Thanks Brendan… Yes. You can always tell by looking at a student how much time they’ve spent on basics. It drives me nuts when you see “black belts” without hara and connection… I better stop. I feel a rant coming on. 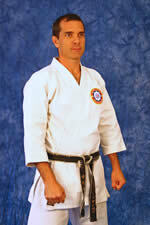 Kihon Waza is the framework of Martial Arts ~ without it you are on a fast track to nowhere. Thanks for chiming in Richard. Hope you’re doing well.